Bates is located in central Maine, 35 miles from Portland, 140 miles from Boston, and 340 miles from New York City. Bates is accessible by car, bus, or plane. In any case, be sure to check out our class schedule and events calendar for upcoming campus events, or Bates Events for a listing of student activities. Take a taxi to the Congress Street terminal. Take a bus to Lewiston. 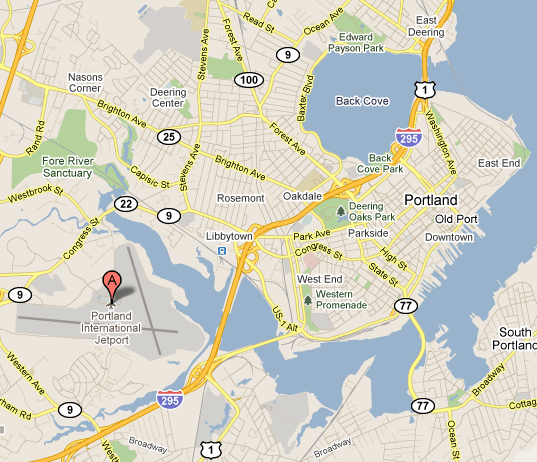 Take a taxi from the Lewiston bus station to campus (23 Campus Avenue) if there is not a campus stop.